Hokuto is the president of the Mamiya company as well as Chiwa's boss, and the grandson of the chairman of Mamiya company. 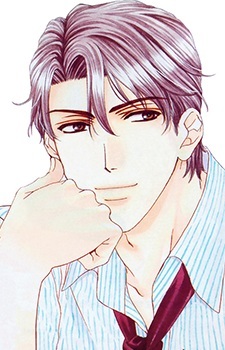 He initially wanted to do nothing with Chiwa right after they signed a marriage contract (although he did promise to stay faithful to her) in order to achieve his goals and climb at the top of the company. Later in the series though, he started to fall in love with Chiwa, even promising her that after the commotions inside their family were resolved, he'll dedicate his remaining life for her. Near the end of the series, it was revealed that Hokuto turns out to be Miura Hokuto and was not really part of the Mamiya family. Also, at the end of the series, on their wedding reception, it was hinted that Chiwa is carrying his child.